MY SKILLS AS A PAINTER are limited. I can paint a wall. I can dip a brush into a kid’s watercolor paint set and swirl colors onto a piece of paper. But I won’t promise a masterpiece. Oh, no, if you want to see my best paintings, you will need to step back in time to more than 40 years ago. Imagine me hunched over an oilcloth-draped kitchen table in a southwestern Minnesota farmhouse dipping a thin brush into miniscule pots of paint. 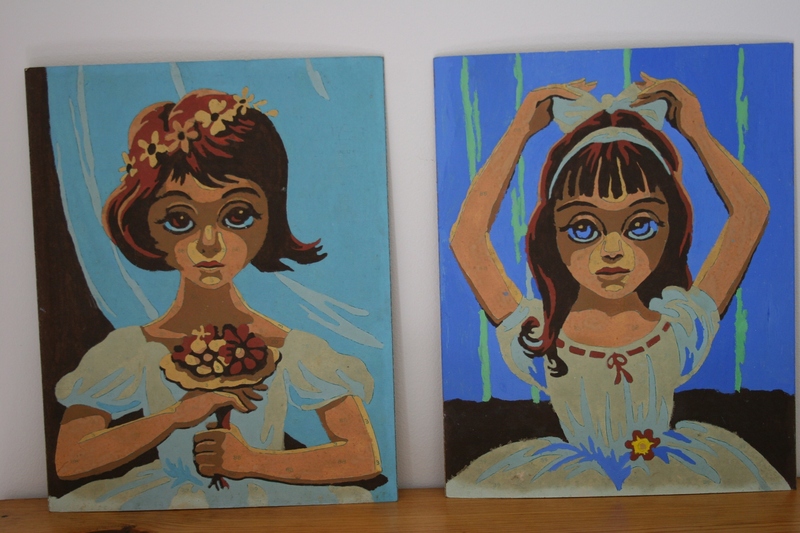 With great care, I brush shades of blue and brown onto cardboard as a ballerina emerges. I have never seen a real ballerina. Her dainty features and fancy dress and perfect posture seem so foreign to me as I slump at the table in my rag-tag clothing that smells of the barn. I imagine this ballerina smells only of flowers, like the ones I paint into the bouquet she clutches and into the wreath encircling her hair. Her bangs sweep in a fashionable style across her forehead, unlike my slanted, too-short bangs. The paint-by-number ballerinas I painted as a young girl during the 1960s. This ballerina’s life in New York City is so much different than mine on the farm. For the hours I am painting the flower-bearing ballerina and her sister, the twirling ballerina, I escape into their world. I dance on my tiptoes and spin and bow with grace on the stage of an opulent theater. If not for Dan Robbins, though, I never would have experienced ballet. The Michigan artist created the first paint-by-number patterns in 1951. That led to a nation-wide obsession that allowed non-artists like me to become painters. The magazine American Profile featured Robbins in its March 25 issue. You can read the feature story by clicking here. That story prompted me to remember the paint-by-number ballerinas I created as a child. Because my mother saves everything, I have those paintings today and they are among my most treasured childhood possessions. TELL ME, HAVE YOU created paint-by-number paintings? Or do you collect these paintings? I would like to hear about your experiences and/or interest in paint-by-number kits. You can learn more about the paint-by-number craze that swept the country during the 1950s by clicking here onto the Smithsonian National Museum of American History.